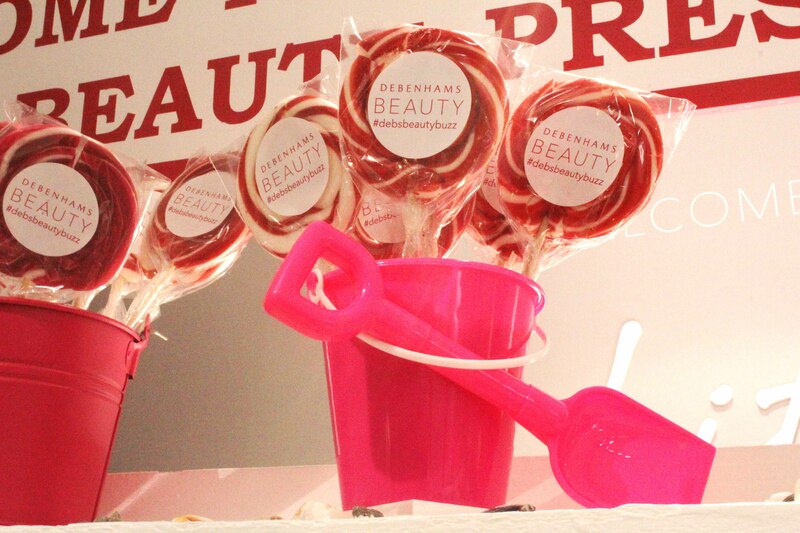 ← Food: Have a Cracking Easter! 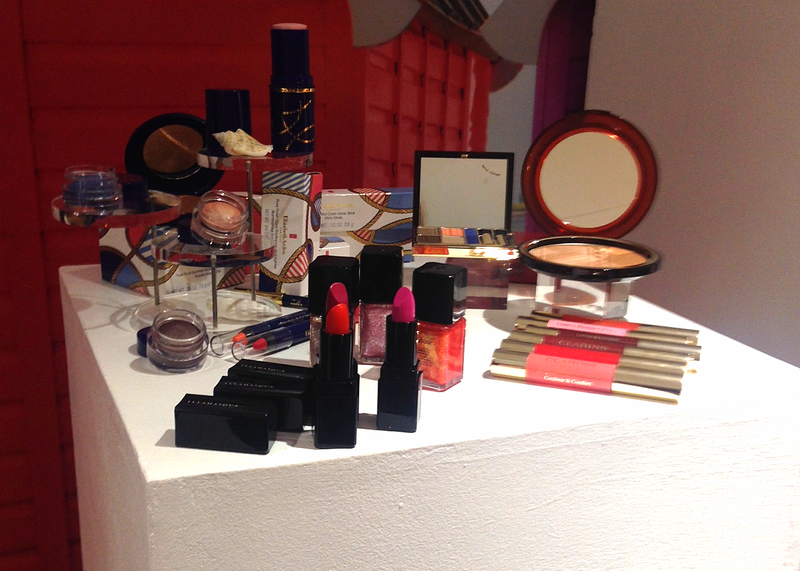 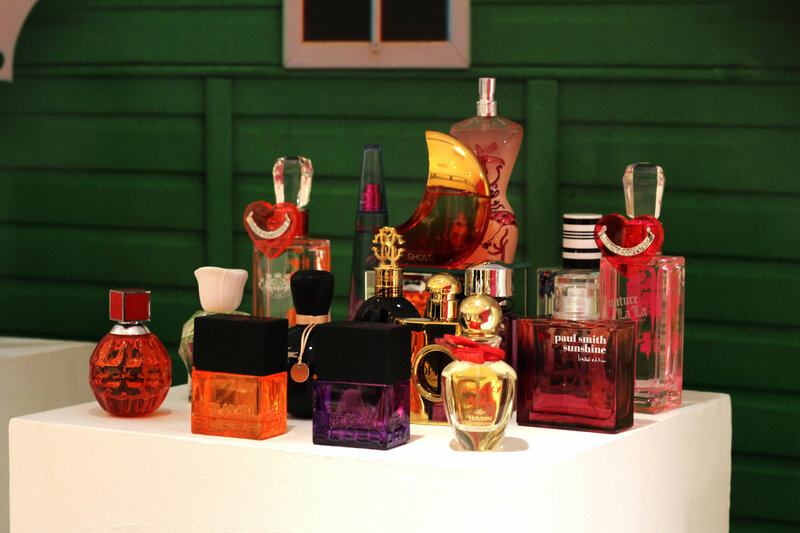 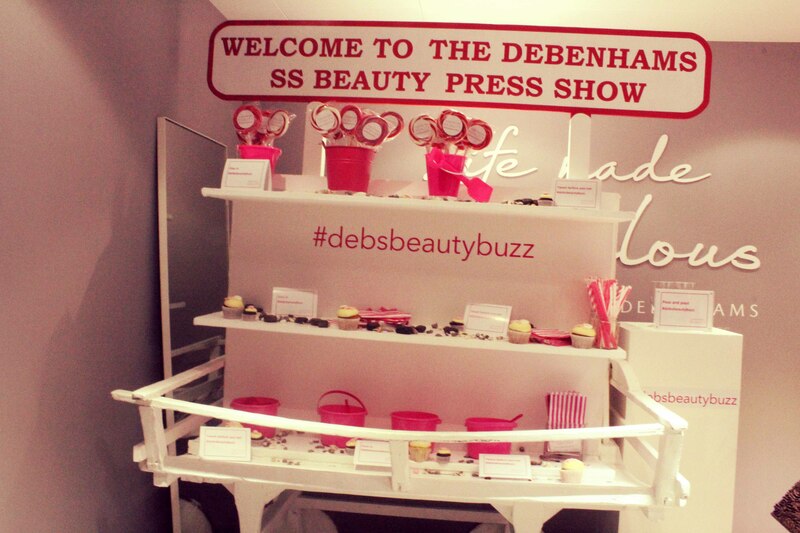 Last week I felt like a kid in a candy store at the Debenhams SS14 Beauty Press Day. 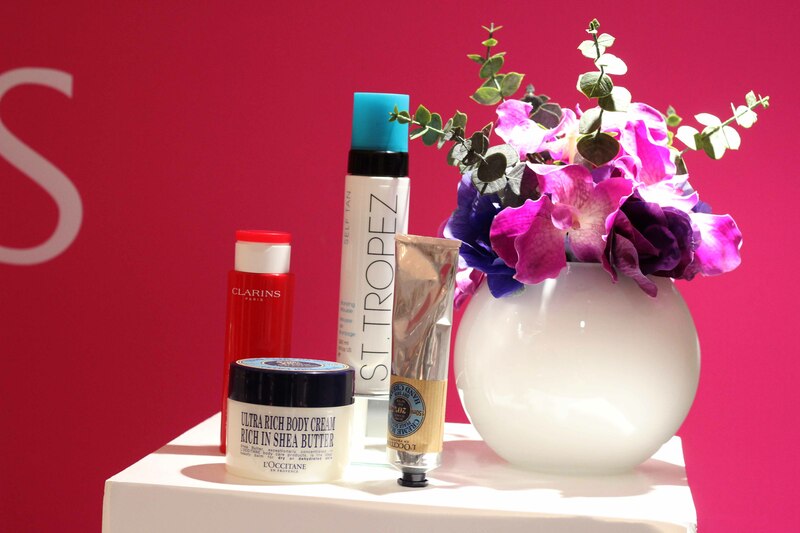 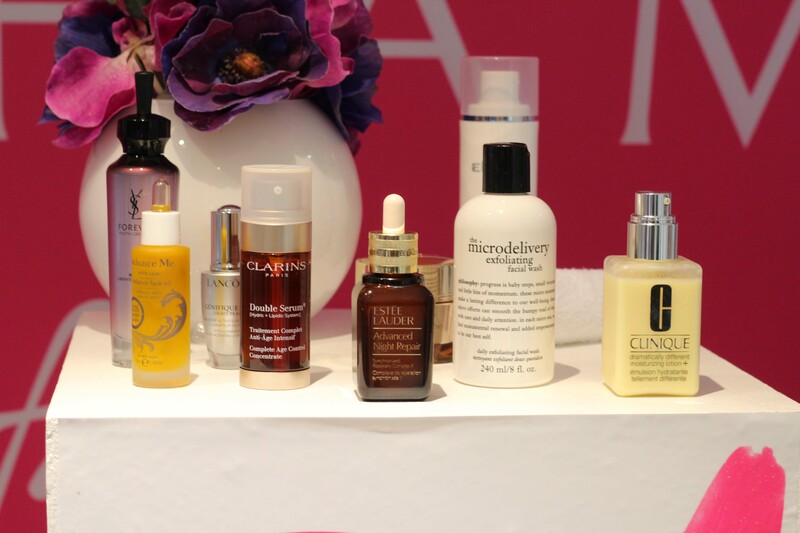 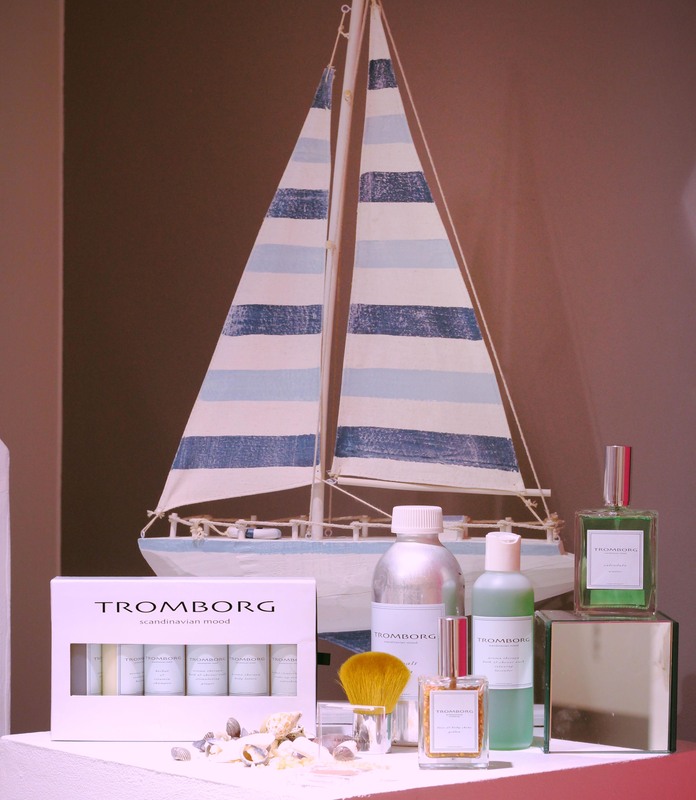 Clarins and Tromborg and Elemis….oh my! 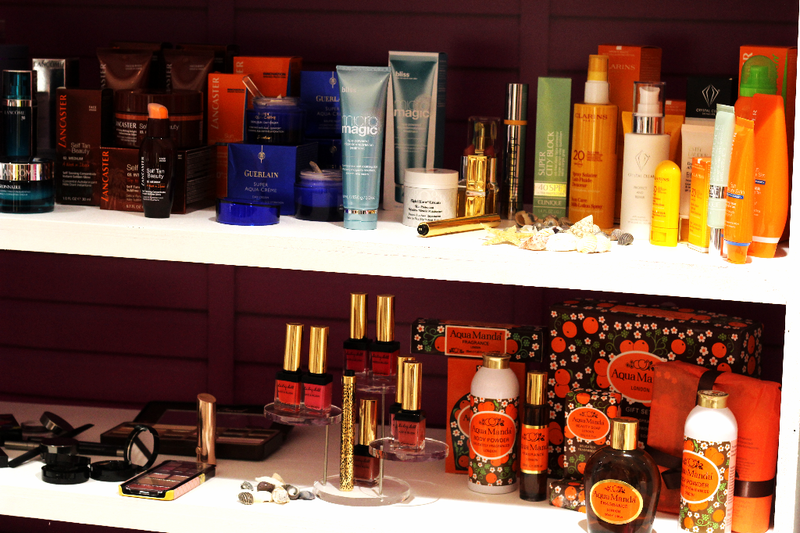 So many beauty brands and exciting new beauty products, I couldn’t help myself spraying different perfumes and trying so many lotions and potions I had to slide out of there. 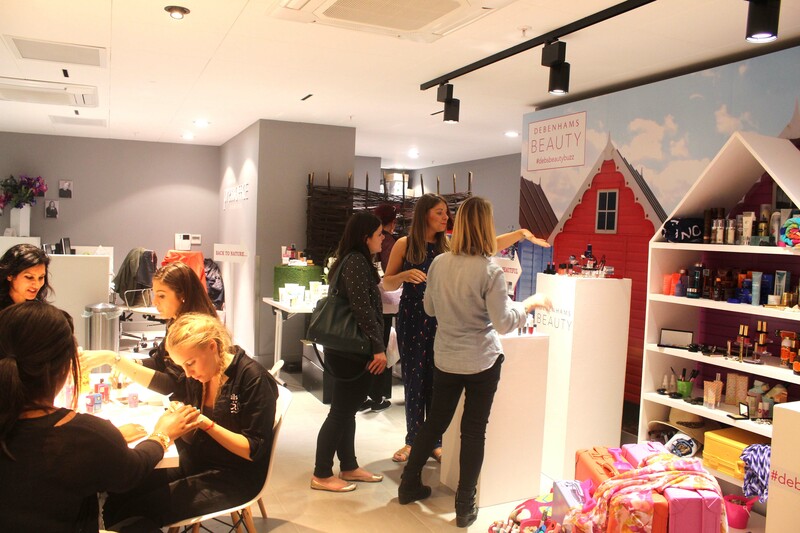 The event really got me in the summer mood – the room had a beach theme, products were displayed in suitcases, buckets of sand and on shelving units that looked like beach huts. 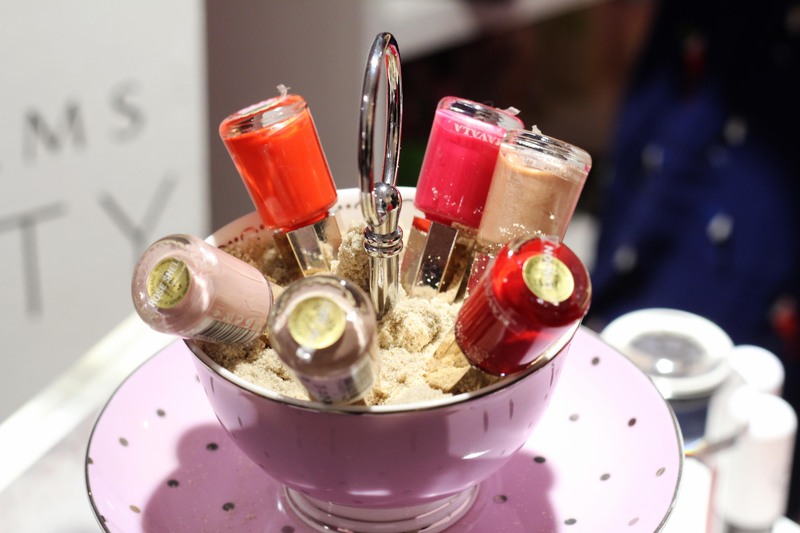 A cakestand full of sweet treats including Nails Inc. & Mavala nail polishes and pretty Steamcream tins, love it! 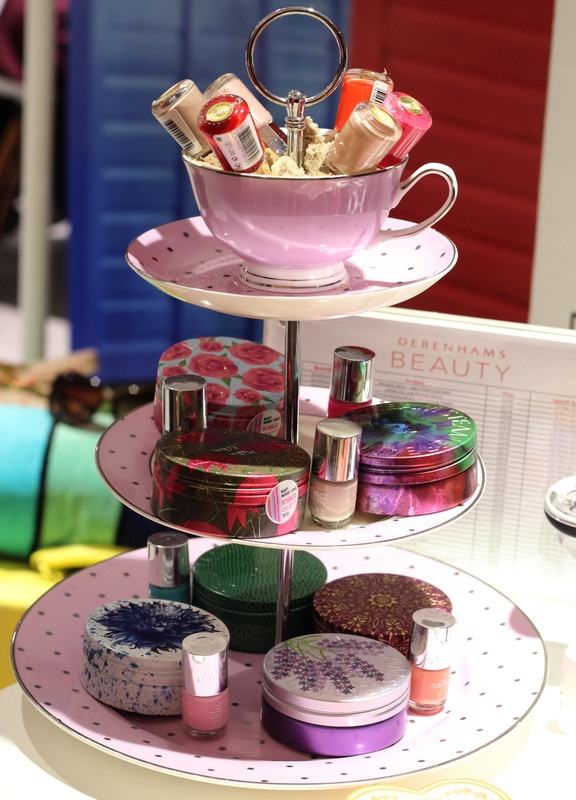 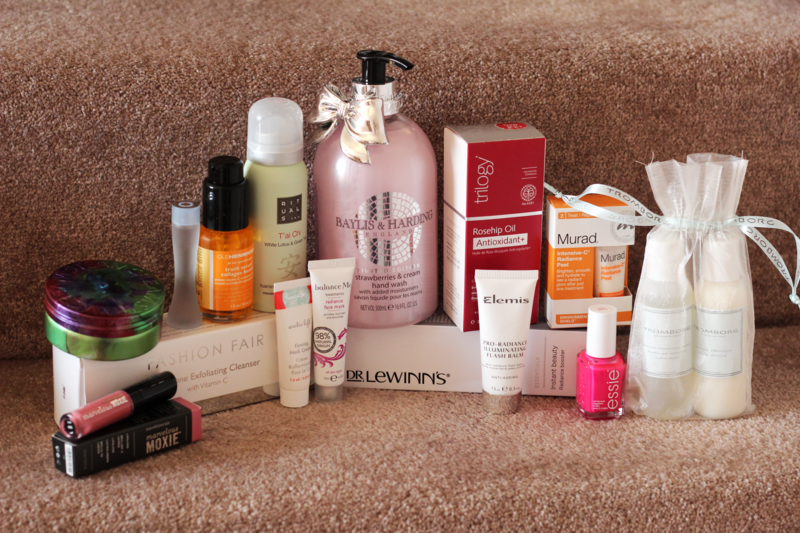 I had such a great time checking out the spring/summer beauty offerings at Debenhams and I can’t wait to try out the products from the impressive goody bag!